Alright guys i posted before in 2017, im having the same prob just getting around to it again. MY 08 KFX keeps bogging down after riding for 10-20 min. Charged the batt, changed the ignition coil. Which i thought it was. The fan wont turn on before it bogs down. It turns on when i unplugg the temp sensor plug, but then it wont start and smells lole flooding. Any thoughts please? Ok, so i rode it around till it started bogging, came home, took off the water temp sensor plug, it started while hot, but doesn't start with it cold unplugged. It ran awesome, i took it out again and it didnt bog out, f.i like was on the whole time though, and it backfired once in a while but other than that i think its the water temp sensor, unless anyone else has a clue before i buy another one? There is a way to test it! But i can’t remember the exact procure. 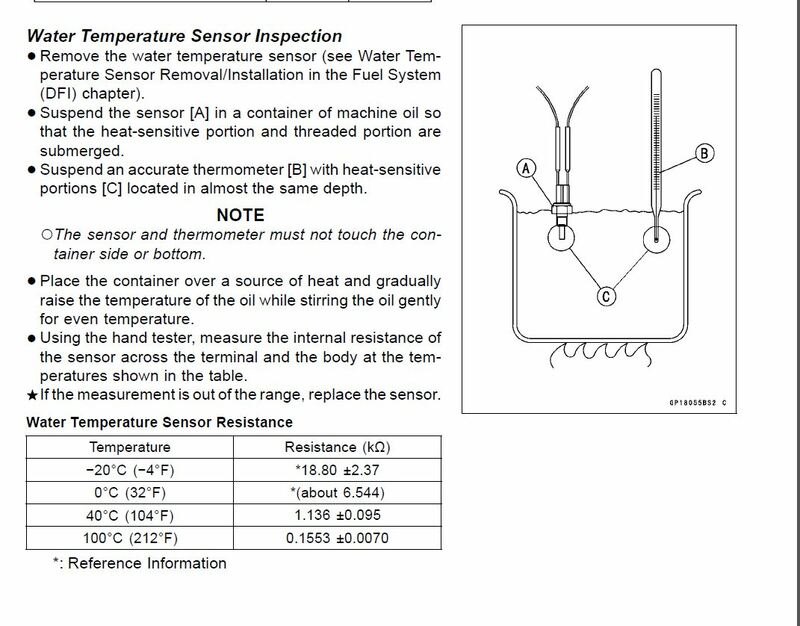 Does the water temp sensor control the water pump? Or just the fan? Also, if i ride it with the water temp sensor unplugged until i get a new one, will that hurt anything? The water temp sensor is part of fan control and fueling. Is that a yes or no, on riding with it unplugged haha. 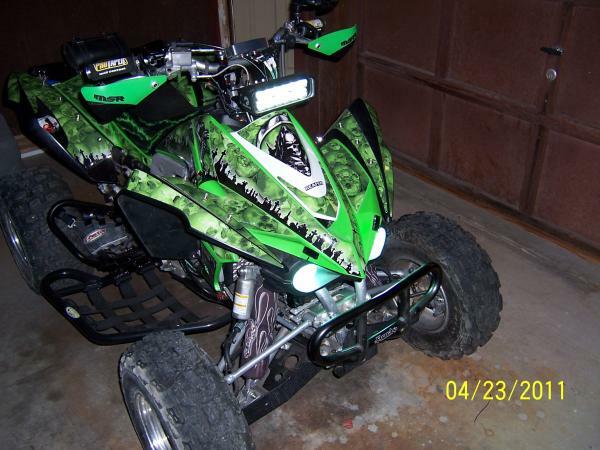 Is your KFX all stock or has mods...???? fuel controller,upgraded intake, full exhaust...ect...? lean fuel mixture or Low fuel pressure...can cause your symptoms...! All its got is a jardine rt99 exhaust and a notoil with airbox lid off. I rode around the other day with the water temp sensor unplugged. It did last longer before it bogged out, but itbl still did the same thing. Keep the water temp sensor PLUGGED IN...!!! Last edited by Dust Devil; 04-12-2019 at 06:35 PM.